Don That Saree Right: 9 Dos And Don'ts You Should Always Keep In Mind! The saree is the single most elegant piece of clothing and is known for its versatility. But for someone who is new to the nine yards magic, it sure can be a task to wear it right. And no, we don’t mean to pester you with a ‘how to wear saree guide’ as we believe that it molds itself to the body, regardless of the wearer. 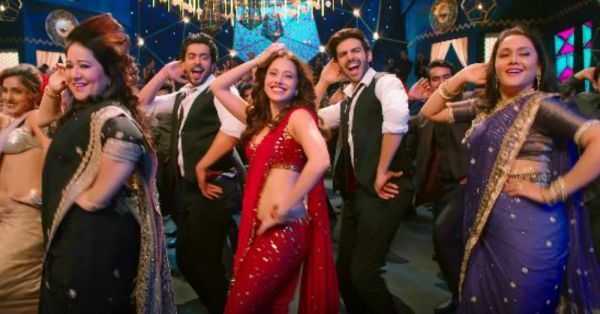 But since we want all our readers to be well-informed during the ongoing wedding season, we have put together a list of ‘do’s and don’ts’ that you should definitely consider if you’re not really a pro at wearing a saree. 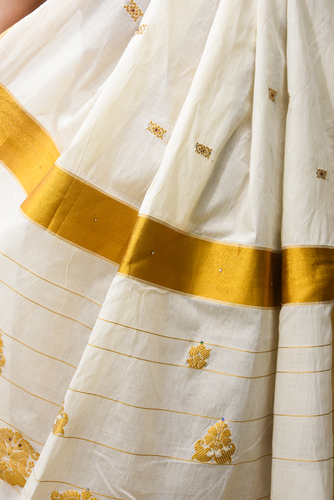 This is one of the main elements of a saree which many women tend to ignore. Whether you are a bride or a bridesmaid, make sure that the fit of the blouse is just right. You definitely don’t want a blouse that can choke your breath or one that is so loose, that it is unflattering! 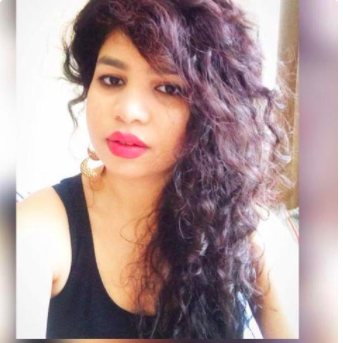 The other thing to consider is the colour; do make sure that the sleeve length and colour complement the saree and do not look like a mismatched hotchpotch. And for all those backless cholis, a well made padded blouse is always a plus. Make sure that the petticoat is well fitted so that the saree is tucked properly and remains in one place. Also, where you tie the saree is equally important. A saree tied too high would expose your petticoat and heels, which is never a pretty sight. A saree tied too low could seem inappropriate to few and can make moving around a bit too uncomfortable. Don’t be a miser when it comes to pinning your saree as it will not only efficiently hold it in one place but will also ensure that you enjoy your bestie’s wedding without an ounce of worry. 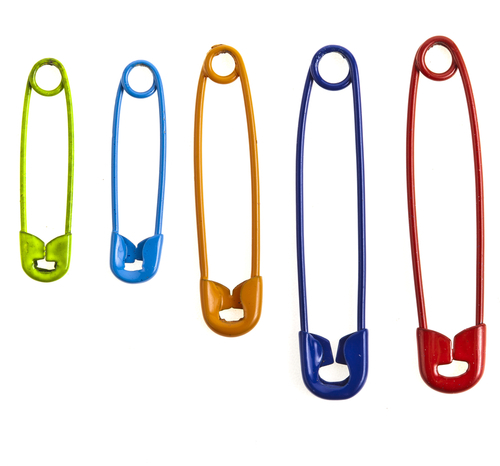 We recommend using coloured safety pins to match the shade of your saree so that it doesn’t look awkward. Also, small pins work well with securing the pallu and the medium sized ones are great with pleats. So many ladies get this wrong! Right from the petticoat to the bra, please make sure that the colour of your lingerie is closest to the saree and the blouse. Also, an ill fitted bra is a big no-no. Either get a padded blouse or make sure you wear a well-fitted bra. Transparent straps are highly recommended to avoid any peek-a-boo moments! Your petticoat holds your saree in place. Therefore, judge the fit as per your taste. The fitting should be just right, i.e, not too loose or tight. Also, if you want to do away with the drawstring, then a readymade lycra fabric petticoat with a zip would be perfect. However, if you want that extra saree flare, a petticoat with side pleats would work wonders. 6. Don’t ignore the pleats… Pre-pleat them if you like! Yes, it is possible! 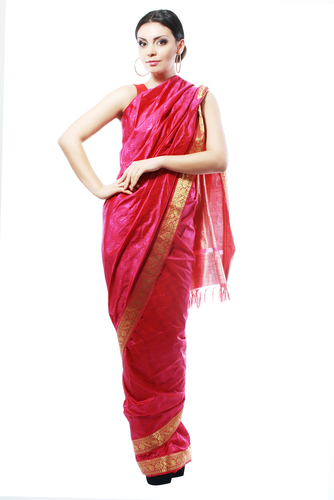 Pre-pleating your saree drape not only helps save time but also helps you define the length of the pallu. What’s more, based on it, you can readily make adjustments beforehand, and it will also save you the various ‘trial and error’ saree draping sessions! 7. Do experiment with draping styles! There are so many draping styles that are popular in India. From gown sarees to dhoti ones, from a gathered pallu to the Gujarati style, sky's the limit when it comes to experimenting with different drapes and styles. 8. Don’t wear sky high stilettos! If you’re wearing a saree for the first time, choose your heels wisely. Try wearing comfortable wedges or tiny kitten heels so you have one less thing to worry about. Walking around in a sari can be difficult for first timers and a comfortable pair of heels will only make you feel more confident. While saree is the most flattering Indian wear option there is, there are some fabrics that help in accentuating the beauty of the nine yards. Raw silk and net are great fabrics to add some volume to your petite frame. For the curvy bride, fluid fabrics such as silk and georgette work wonders.